FH Modding: Bloody screen HUD effect released! 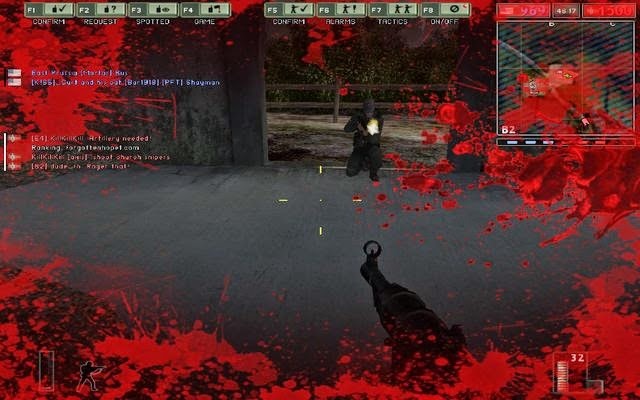 Today we want to you the new blood optics for FH 0.7 of the modders "TomPL" and "WoWo_Soldier" imagine. . The new effect you will now get after each hit a bloodstain appears briefly on the screen. Then the stain disappears. Then, when you're as good as dead, you still have a pale red border that draws attention to it. If You were shot dead, then is a unique red spot on the screen, which will disappear after a short time. If your installed once the Blood HUD patch for Forgotten Hope, then it will automatically already with FHSW as both mods like twins together hang. If you found the effect known? Yes, there are at Finn Wars for example. We find the reaction at FH succeeded. The Battlegroup42 team reporting as promised with the second part of the model concept back. And we from [HG] News Team are faster than the police allowed and report well as the first community about it. 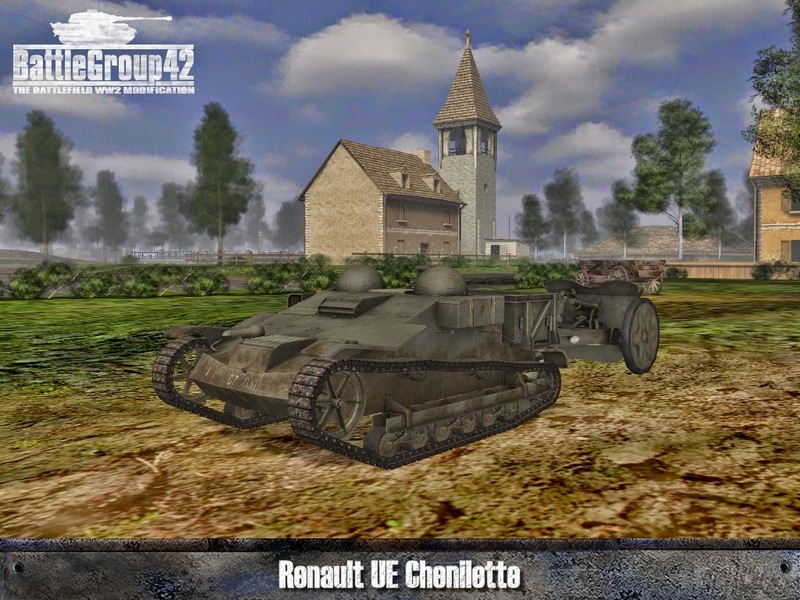 In today's news vehicles are presented, which should help the battlefields more authentically represent the Battlegroup42 world. The works come from the experienced modellers Gauranga and scratches. The first model comes from scratches. It is the newest / latest work, the Renault UE train. This unarmed vehicle was used in 1940 in Belgium and France as transporters and gun tractor . Although many of these vehicles were captured by the Wehrmacht, but only two ways to program this type of vehicle on the French side with Repair- / reload function for vehicles of their own troops, as well as a tractor for the French 47mm anti-tank gun in Battlegroup42 used .. So that the vehicle is on the Western Front Laffly S15TOE replaced, which was used only in the French colonies. 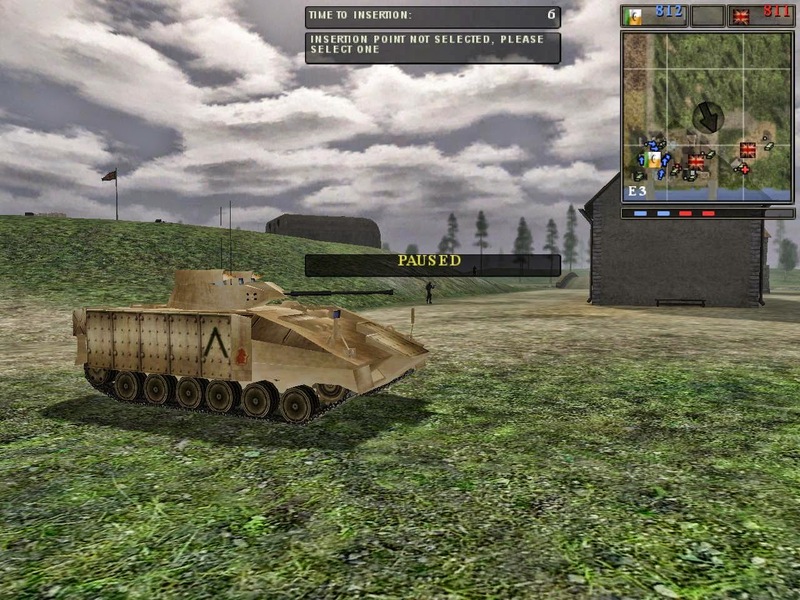 In the second bite is an unarmed tractor from the modeller Gauranga , which was used by the Wehrmacht. This zugstarke half-track tractor Sdkfz.7 model as a support vehicle with Repair- / reload function, as well as tanks mountains, troop carriers, tractors for the gravity field howitzer 18 employed almost everywhere in the Wehrmacht. 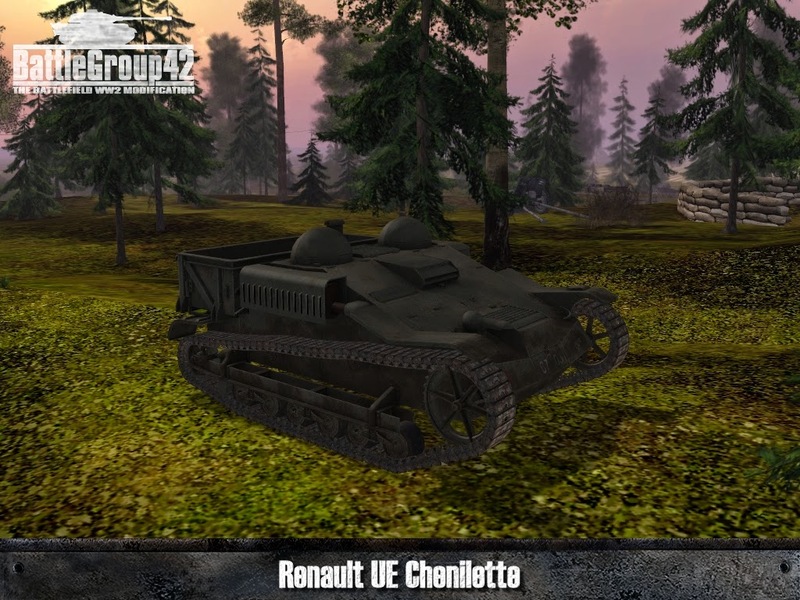 The model was often wished from the active Battlegroup42 fan base, thus it was with or without hood on the roof to find his way in the model of the mod. Now the Farhzeug is in Battlegroup42 be. 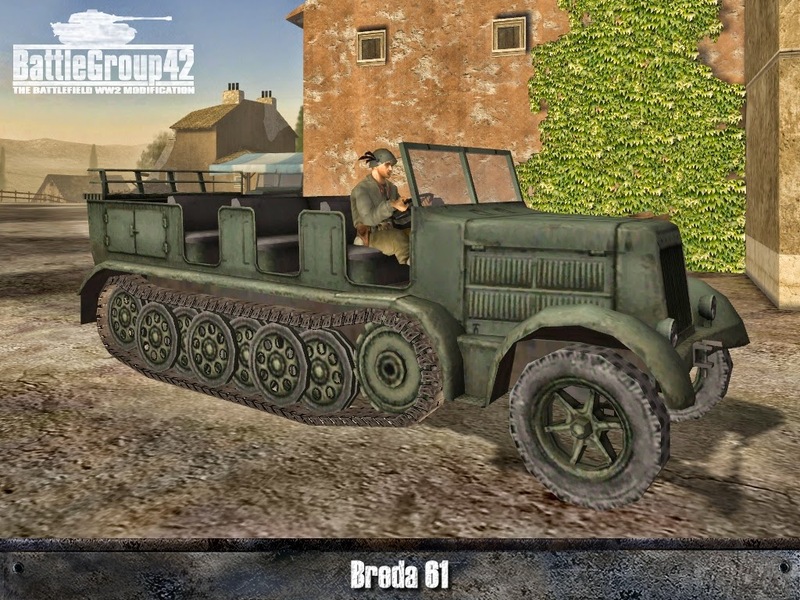 As a treat for all fans Battlegroup42, the modders have SargeSurfat (skin) and Sarge31FR (model) the model Sdkfz.7 to Italian license version Breda 61 rebuilt. These will be found on many maps there and replace unsuitable German equipment, which previously served as a stopgap. 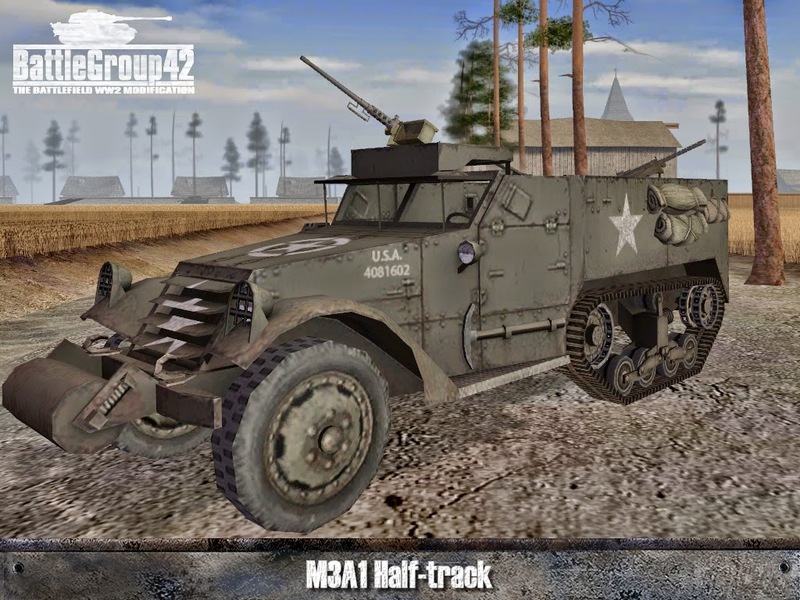 Last but not least, thanks to Gauranga the American M3 half-track from the original game replaced by a private Battlegroup42 model. Sarge31FR took over the model and adapted it in various versions, such as the mortar carrier M21 , the self-propelled guns M16 , the T19 and M3GMC . 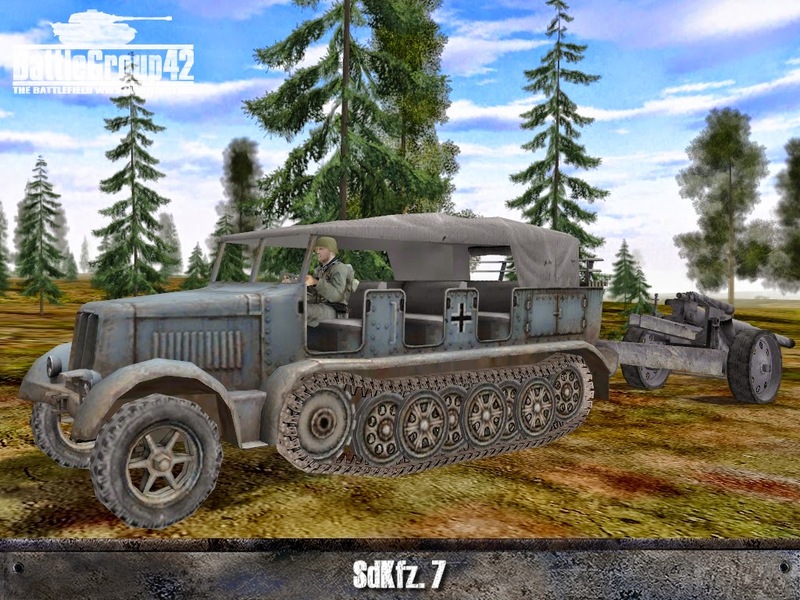 The Sdkfz.4 / 1 turn is new, also known as Panzerwerfer 43 . It is the armored version of the half-track truck Opel mule , which in 1943 was used. The vehicle is equipped with ten pivotal 15cm launcher tubes for artillery rockets. 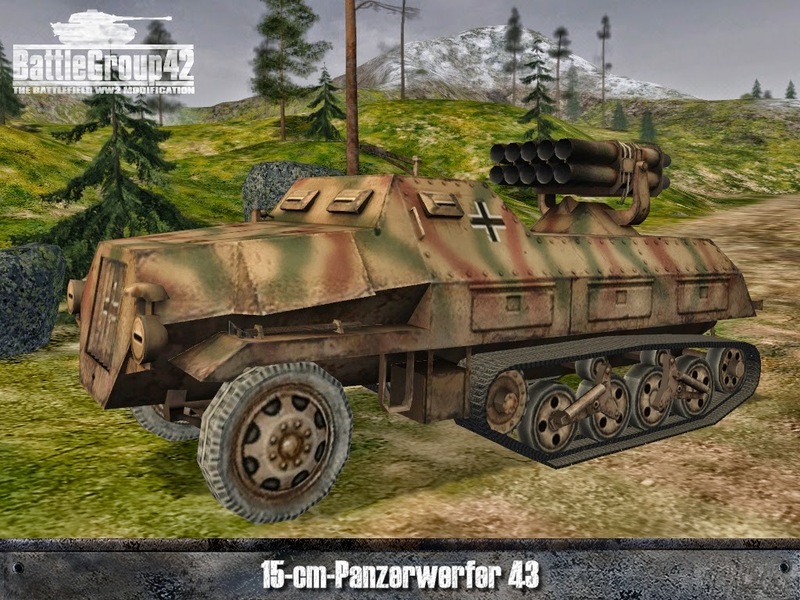 It is now to be found on the maps of the second half of the war and be there accompanied by a version without the launcher, which secures the supply of ammunition - the Panzerwerfer Features a shooting performance of two salvos. That's the second part of the presentation Battlegroup42 model. Rejoice forward to the third part of the series of presentations. 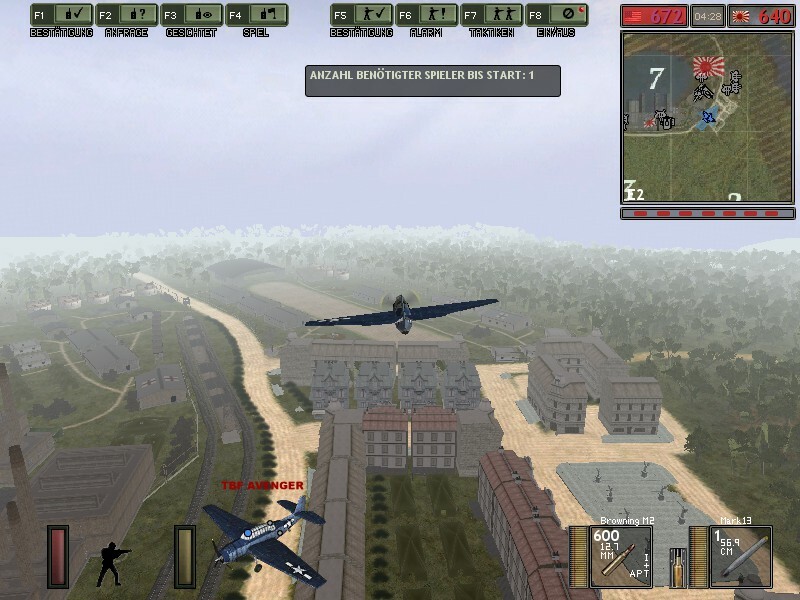 Also there you can surprising yourself and exciting last-minute additions expect as next- so check back often for battlegroup42.de stop by, when it came to our news! From our side Thank you to the Battlegroup42 team that you are regularly supplied us with news and sooo busy at Tinker. Hello dear fans of FHSW Mod and modding. Today we want to introduce you the next map "Skirmish", which comes from the map pack, I'll link to you at the end of the news series. As announced last time, this presentation is one of several FHSW Custom Map presentations here. The map was also created by the mapper "Nanntekottai". In this second night Map it comes to stop the advancing German troops transporter to be able to capture additional supply routes for themselves. These are the Brit's armed forces tank available. 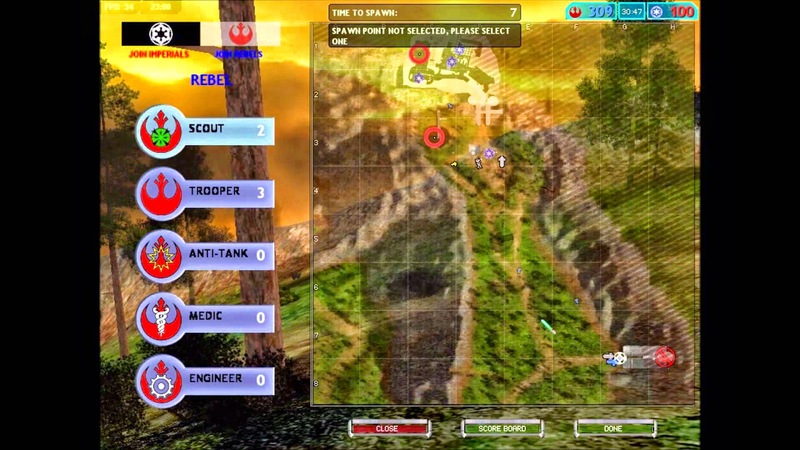 Skirmish is reminiscent of a jungle fight because the map is a large area covered by forest. Tucked in between the supply lines of the British. The map comes from the recently published on 01/30/2015 FHSW map pack from Japan. Download, there are, however, only in the final map presentation, as a little treat for you. Writes time feedback on whether you like the map? Is there something we could have forgotten to mention? It then writes down. Hello friends of the modding! It writes "bbfplayer" that he could use the help of experienced modders, because he wants more vehicles and maps in Super DC hinzunfügen? According to own "bbfplayer" has been only a small part of the work. 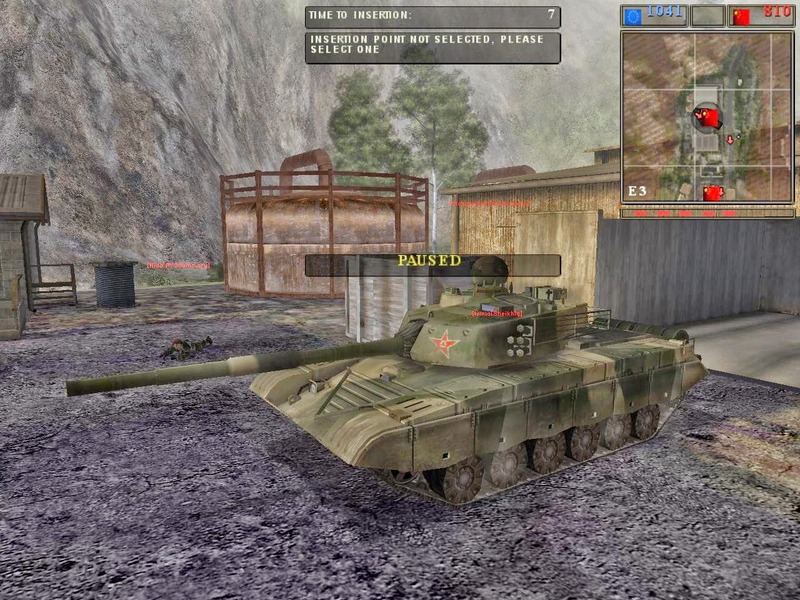 So far, he has only the permission of the experienced Modder "Apache Thunder" to take advantage of content. 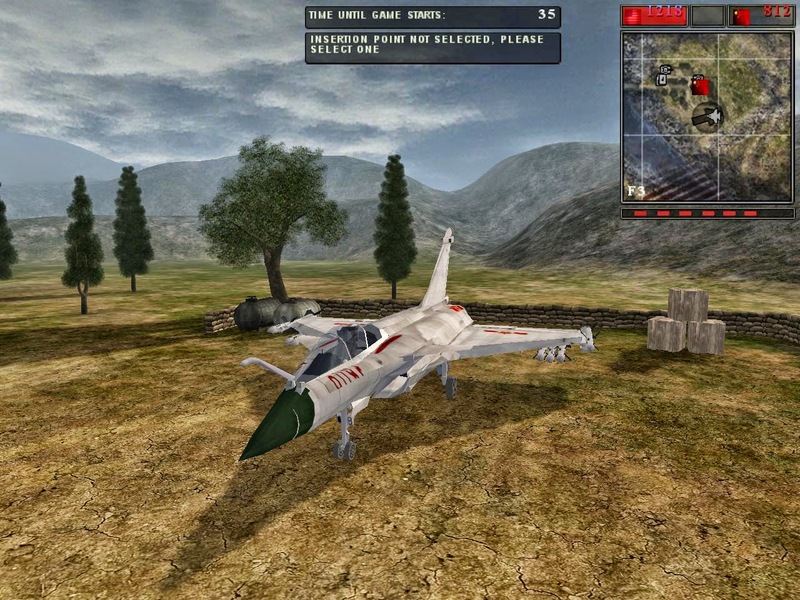 ("Apache Thunder" known by: DC series, BF242 redux, BF heroes 42,Mario Kart, radio Conroll cars, Ragdoll, flat wheels, rally) to name only a few projects from "Apache Thunder". So if one looks the devs, old and new mod projects to, "bbfplayer" sets the stones in away? And get in contact, insofar as it is possible. Kindly "bbfplayer" received permission to use FH content, but at the moment he has not before FH maps to Super to add DC. 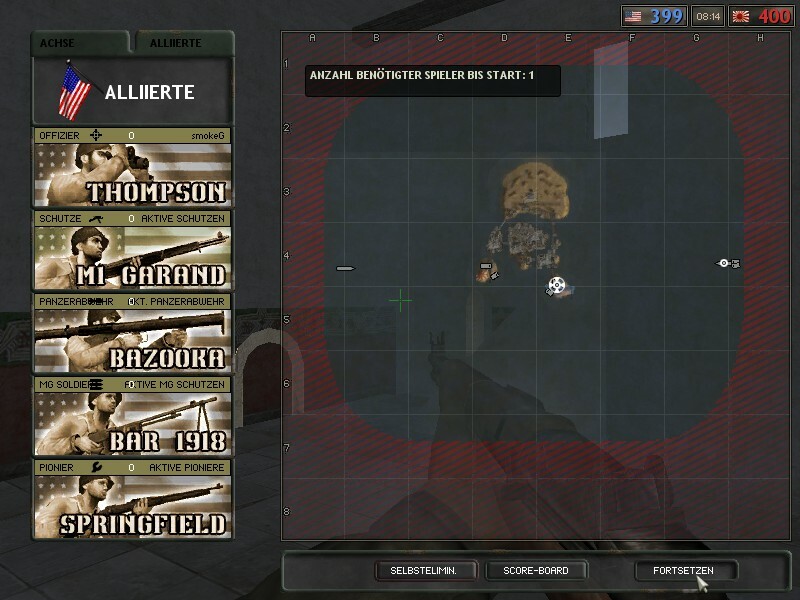 In the below presented images "bbfplayer" has taken over the Russian skins from the mod "Who Dares Wins". Also can you now ammunition and devices drop, just like we know from BF 2 here. 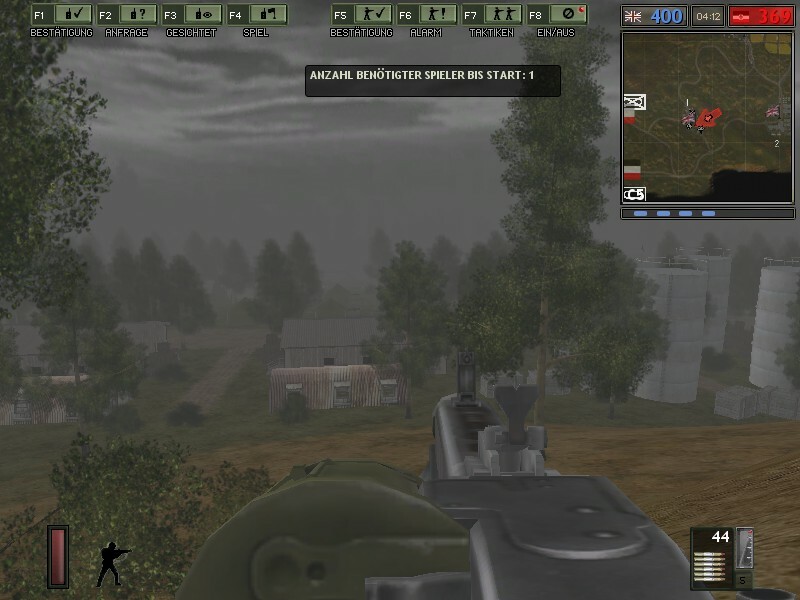 And you can still classically with the Medipack in the hand heal and give out ammunition. There are still the 5/10 seconds of explosive packs, busting themselves. 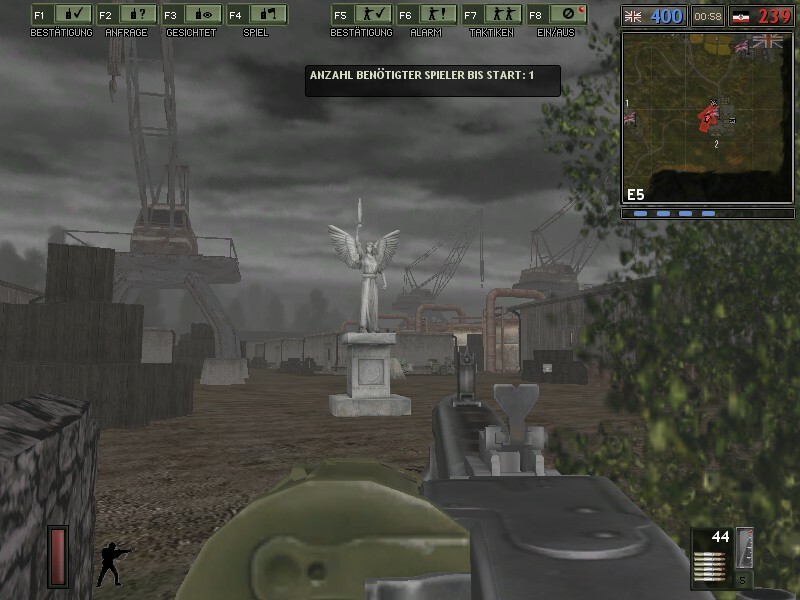 "bbfplayer" has to make warfare realism mod Super DC similar as 2 here seen by BF before a modern. 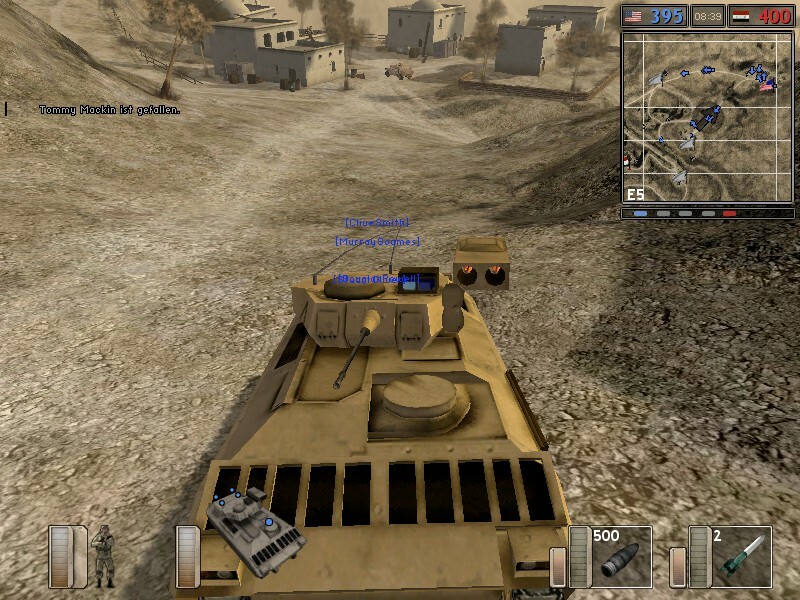 A few weeks ago were added to the MOD, according to "bbfplayer", new weapons and vehicles, but still not all the participating groups and maps distributed. For China, the specific handgun type95 added only this is there already in the Russian group. If anyone knows what modern weapons use the Chinese, can you tell like that? 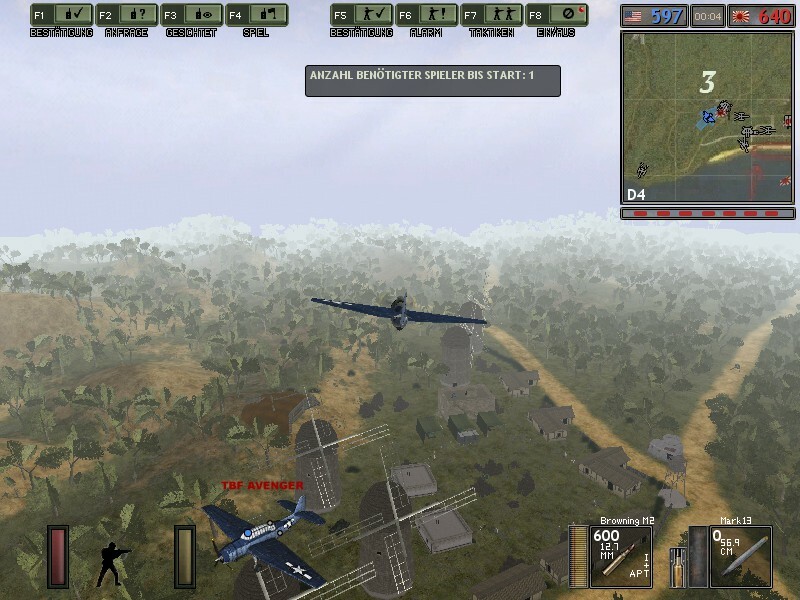 Maybe gabs thereof a statement in one of the BF 1942 mods? "Bbfplayer" would like to deliver the full credits yet. 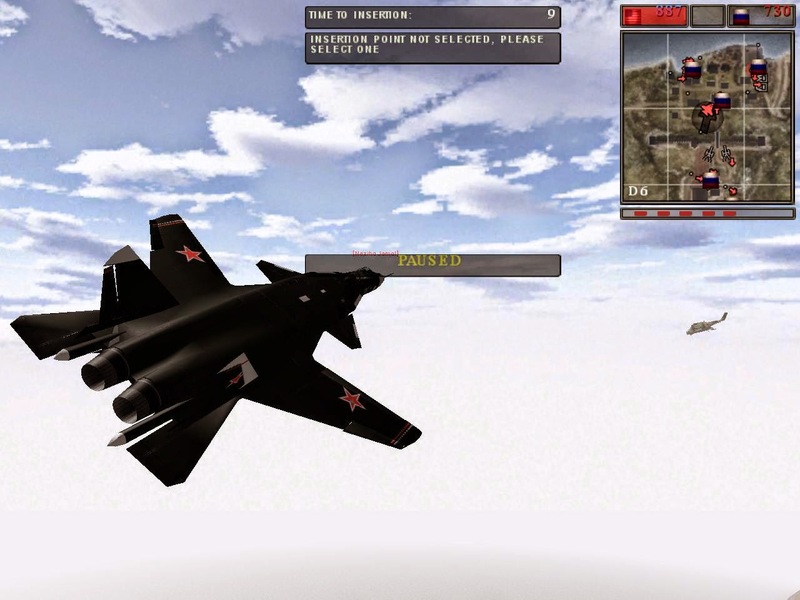 Already 20-30% of the maps, 80-90% of handguns, 30-40% of the tanks and aircraft are included in the demo. Not all items are in it. And the terrorists and Afghan rebels are not in there yet. That's it with the good news from the modding scene for today. We hope you liked it and you can help to make the whole super DC project success? FHSW custom Mappack: "Y-Day" Map Präsentation! Hello dear fans of FHSW mod and the modding! 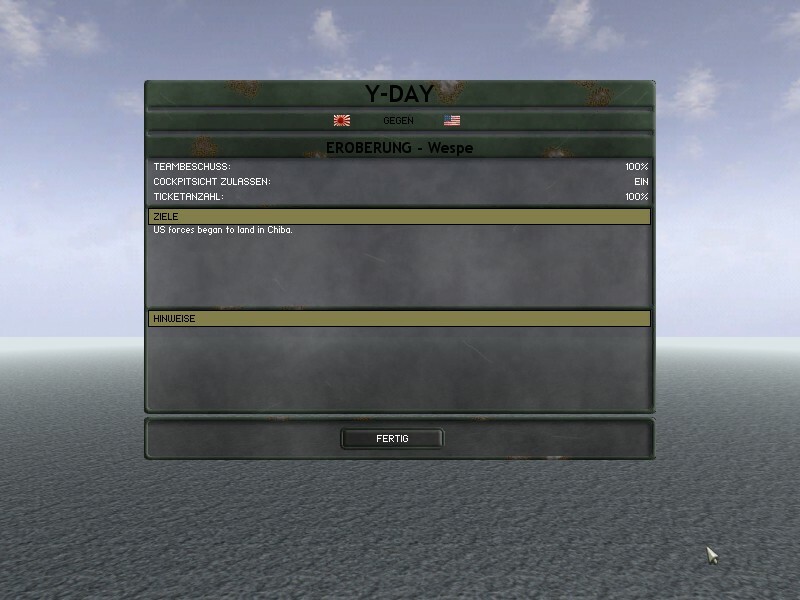 Today we the next map "Y-day" from the presentation series imagine, which comes from the Map Pack that we will link you series at the end of the news. Also, the map was created by the Mapper "Nanntekottai". 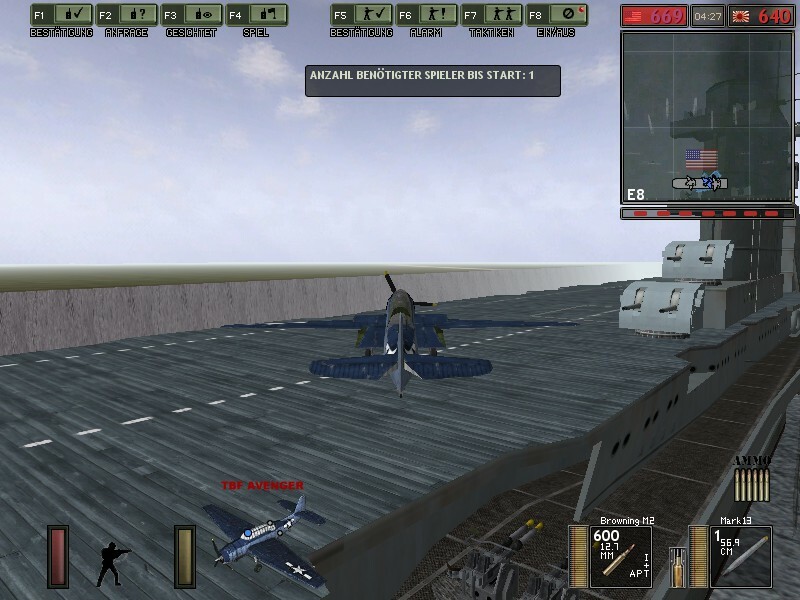 On the island map "Y-Day", it comes to attack as Americans by the USS aircraft carrier from the island. The Japanese try to prevent the attacks of the Americans. It is a large island, with much jungle share and various bases to the take. We have tried to capture the beauty of the map from the air for you. We hope it is possible? As a special feature awaits on the USS aircraft carrier a plane with folding wings. Once again a great new animation, which the Japanese again Flash. The Mappack just the hammer now already. Mapping at the highest level. Class work. Look forward already to more FHSW custom map presentations that we are present here. We stay tuned to FHSW. The map comes from the FHSW Mappack published recently on the 30.01.2015 from Japan. There the download to do this only in the last map presentation, as a little treat for you. Writes a feedback times, whether you like the map? Is there anything we could even forgot to mention? Then it please write us. 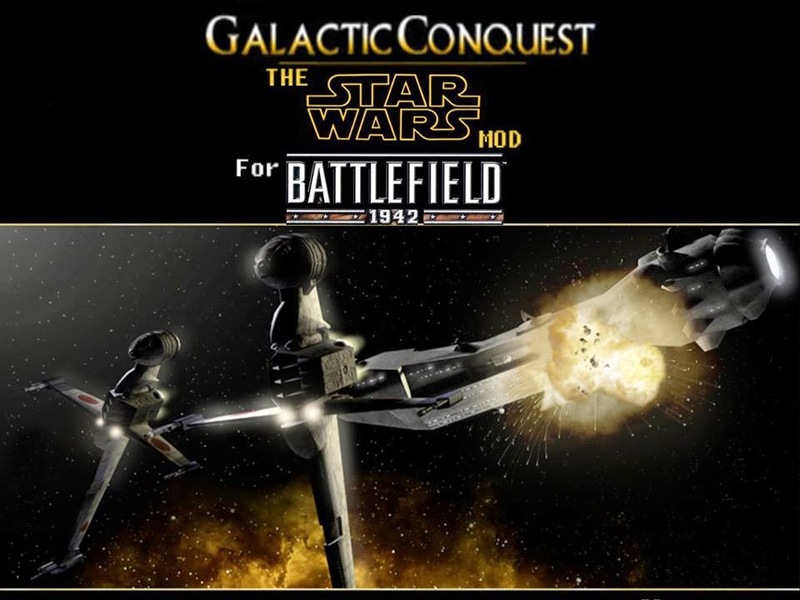 Today we declare unto you the single player mode to "Galactic Conquest" (SP v6). There is the (single-player) beta now as playable SP separately for download. 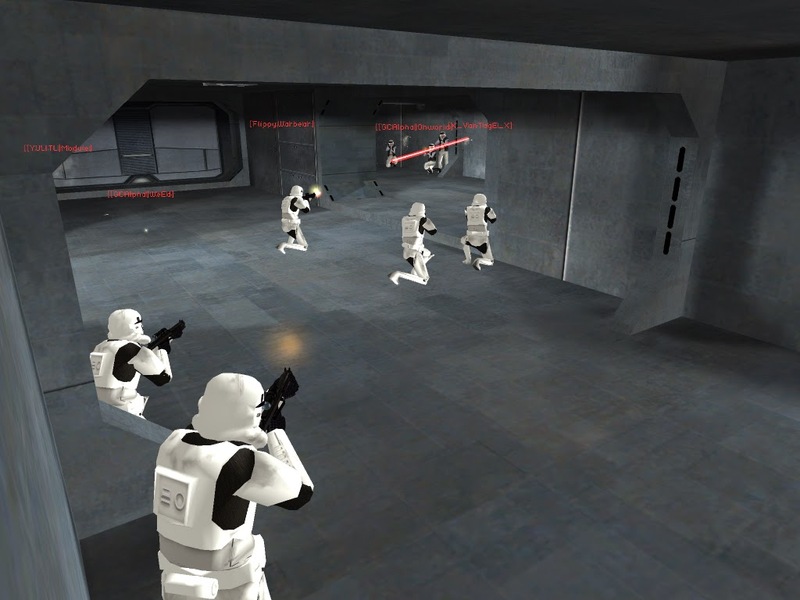 Thanks to the work of "DNAMRO", you can now play the standalone Galactic conquest SP v6 mod. 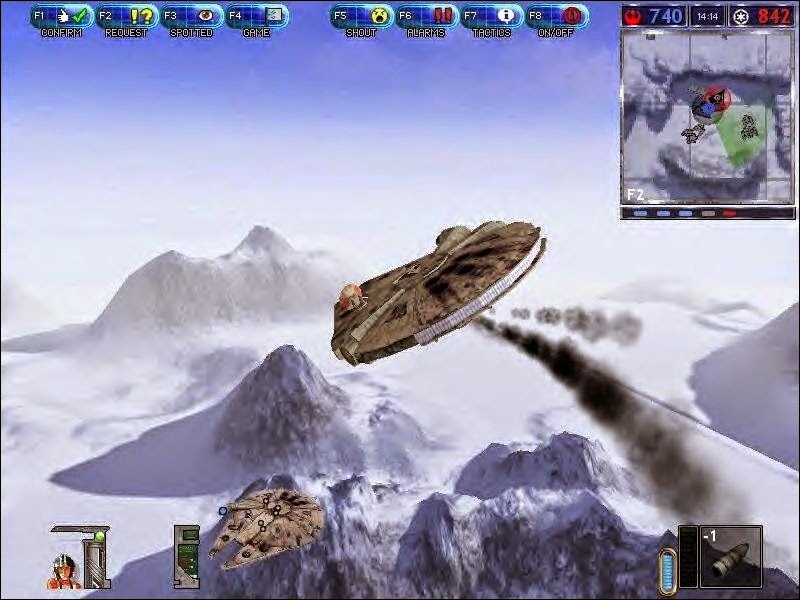 The single player runs independently from the GCX 8.1 multiplayer version and is an add-on of the Galactic conquest fans. The specificity is, you can create your own COOP single player server for LAN parties. Also working "DNAMRO" ready to make more maps singleplayer. 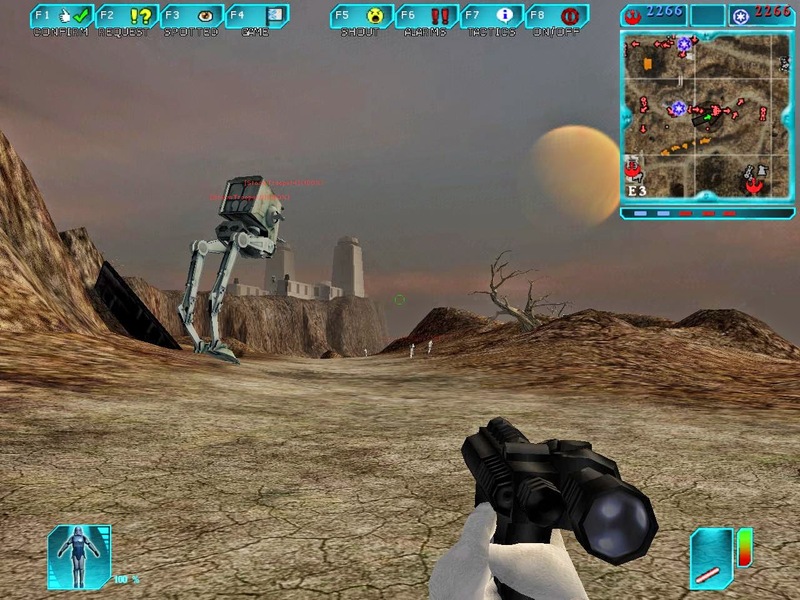 As a special bite "DNAMRO" made suitable for the "Forest Moon of Endor" SP map, which was created in the year 2011 for the multiplayer "Django". In addition "Renwood" the execute producer and project manager informs us, the last 9 years. He was and is involved in the further development of the GC mod still until today. "Galactic Conquest REDUX" wear. Now comes the best, there is already a beta version can be downloaded. Rejoice over more maps, new skills (animations), more spaceships and Hunter. 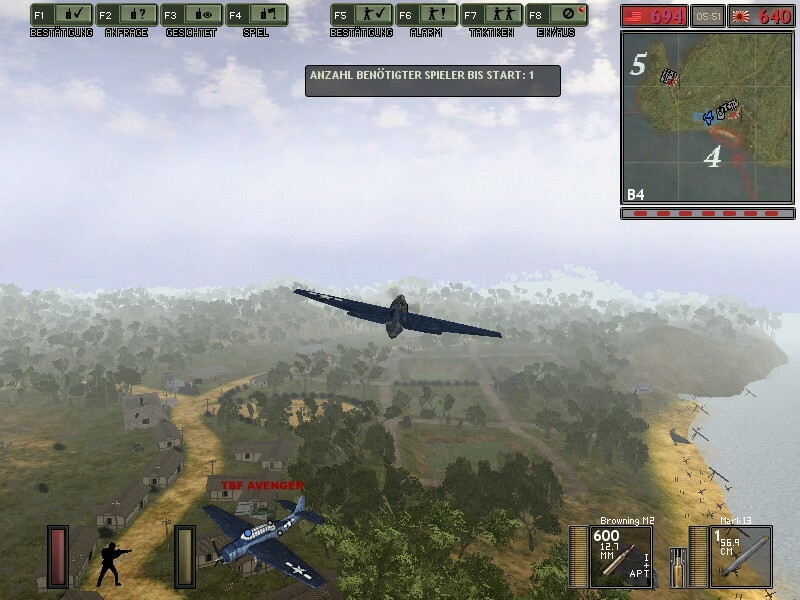 Fly any vehicle and control each gun independently this is what team. The team around "Renwood" and "Bluedrake42" would be happy if your bugs, game other problems on the click here linked Facebook page posts? There you will find also new news, updates and can interact with other fans in contact or arrange to play?If one of you prefers Twitter no problem: click here we will see us into the depths of outer space! Desert Combat Final: Jim's mini COOP/SP Mappack! Today, we will report about your mod. Thanks to the work of Modder "Jim2102". 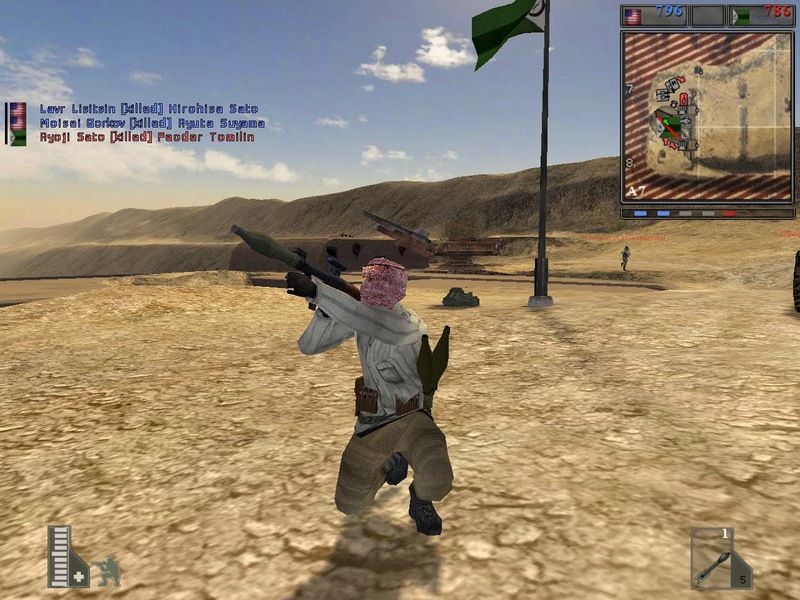 Jim2102 saw that there was suddenly no COOP server for desert combat? So he decided to make capable DC final maps COOP/SP, DC not sometime overlooked and disappears. Jim2102 has already announced the more maps will follow. 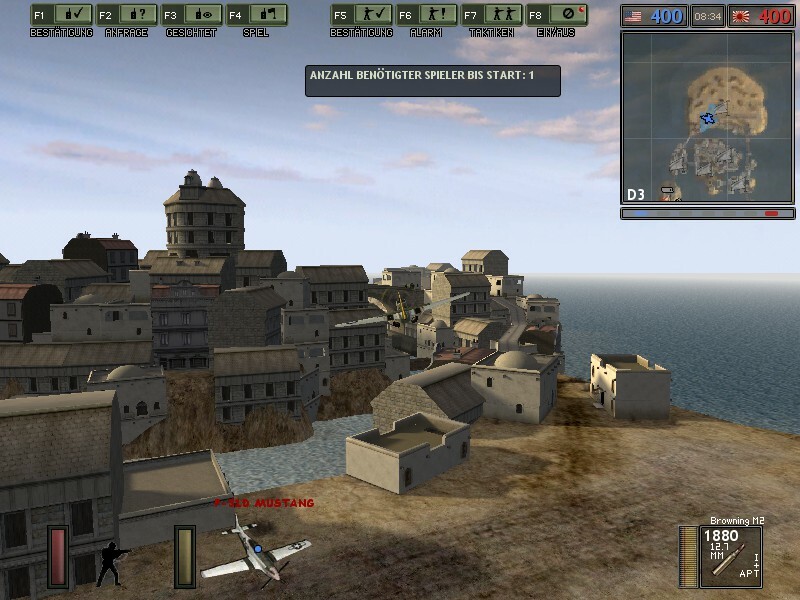 Which tool do I need to create your own BF 1942 custom maps? 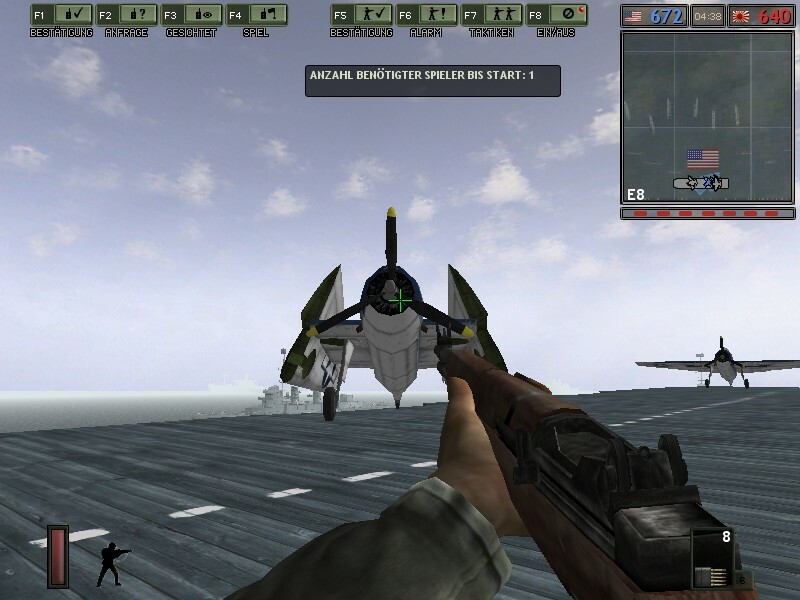 The answer is: "A-BF Botinator 05"
The maps are simply here installed: program files (x 86) / EA games/Battlefield 1942/mods/dc final/archives/Bf1942/levels / folder. Jim2102 will be there for you. 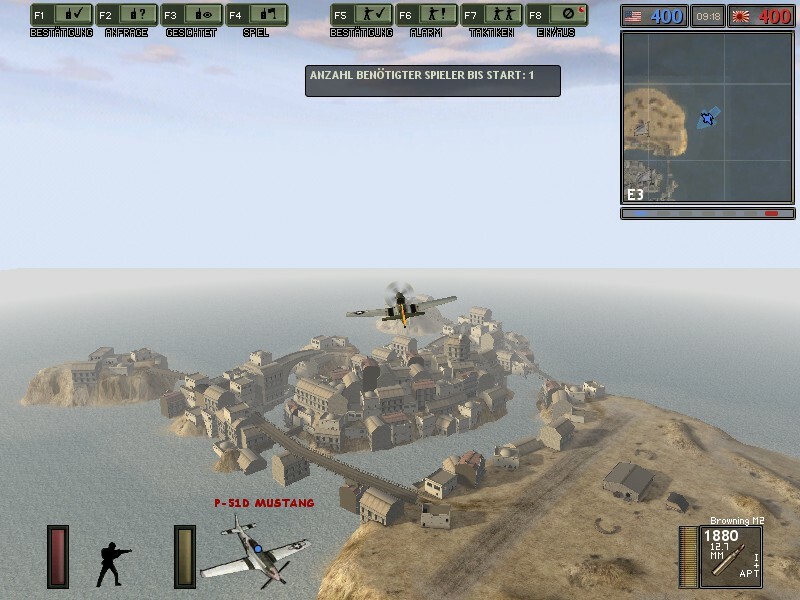 FHSW Custom Map: "Occean Town"
Hello dear fans of FHSW mod and the modding. Today we want to imagine the next map "Occean Town", which comes from the Map Pack that we will link you series at the end of the news. This fiction fantasy island map has been created by the Mapper "Xenanab". He insists that no Funmap. 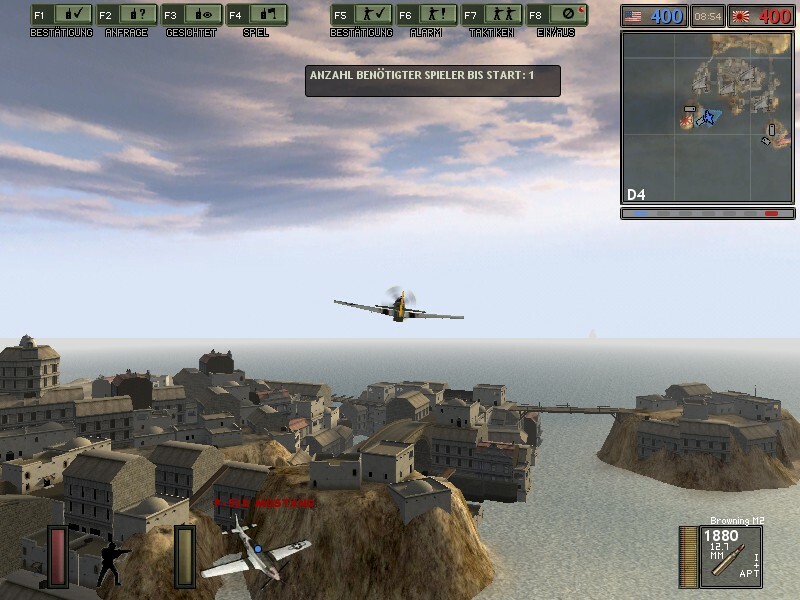 The island "Occean Town" kind of reminds fighting Midway, also Japanese and United States to the island. The map is of a fight around the mysterious town. 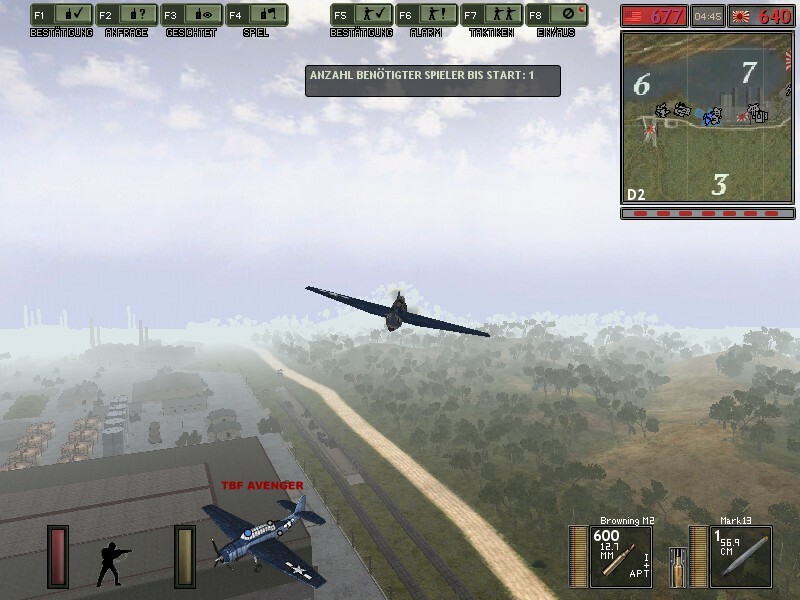 Tanks, APC's, flight are bomber and PT boats available. This map uses the "CullRadius" mod of the Modder "eYe" and the revised "lightmaps" come from the Modder "Radiosmersh"! This city invites you to discover hidden paths, finding alternative tactics and requires skilled capabilities with the represented type sense of space to cope... 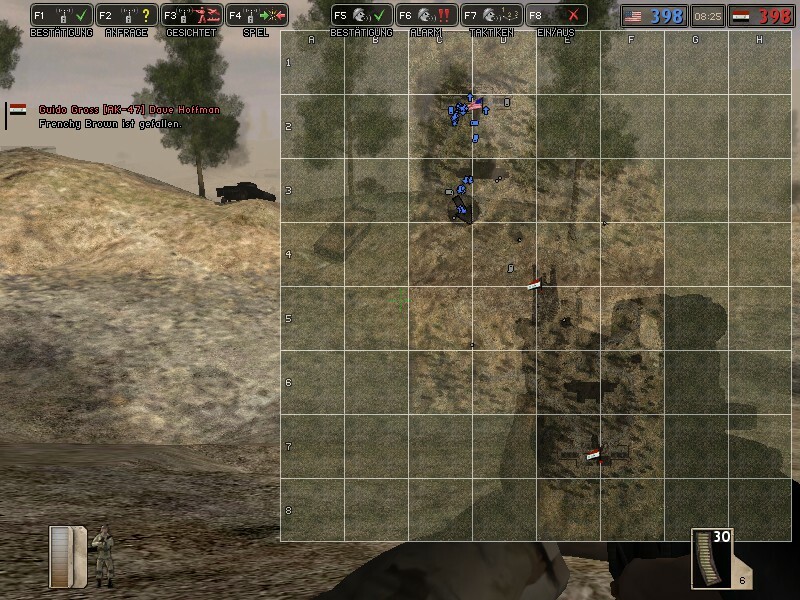 It is a sophisticated infantry-focused map! You can conquer seven flags points. We have tried to capture the beauty of the map for you from the air. We hope it is possible? 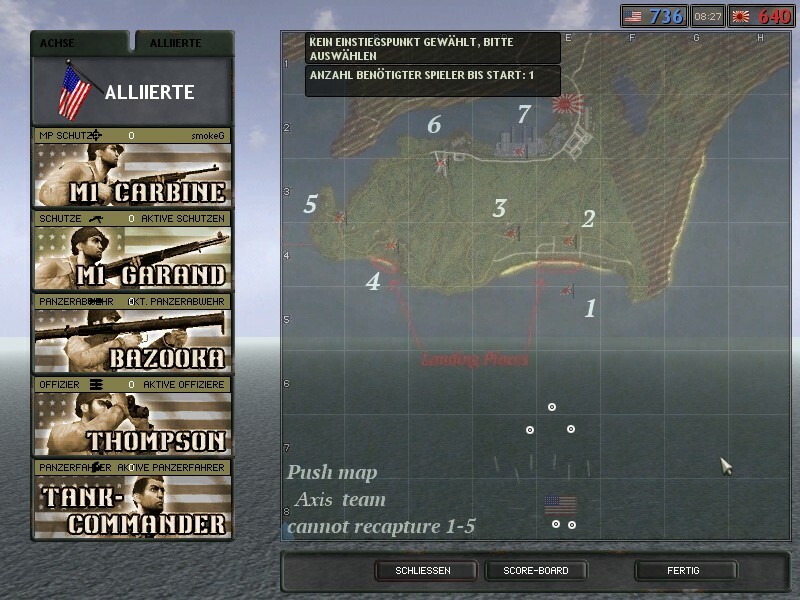 Once again a great new custom map, with which this time Europeans Flash. The Map Pack is just the hammer. Mapping at the highest level. Class work. 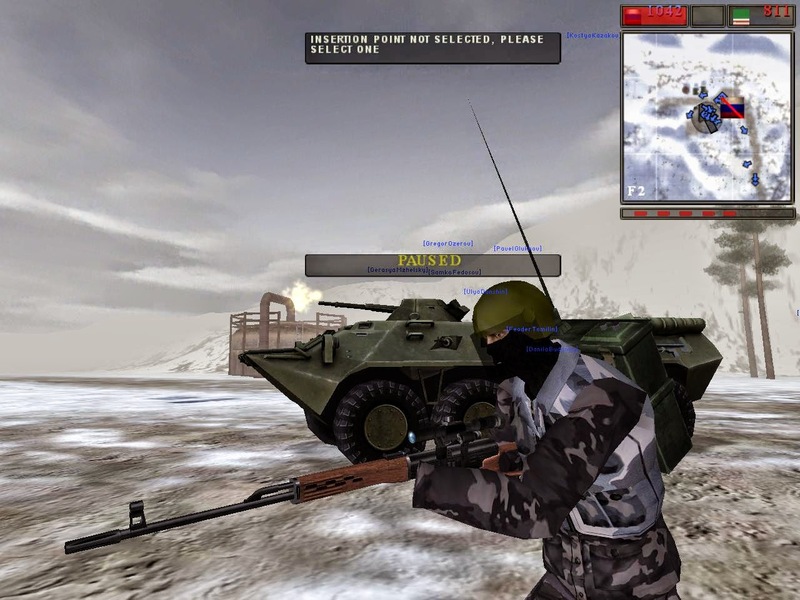 Copy the file to your hard drive, unzip it and then set it up in your Battlefield 1942\mods folder as mods\Realplayer. I have combined Grenademan's AI enhancement mod with singleplayer support for all standard BF1942 maps. I will do an installer when I get a chance. This way, it can be installed on other than windows systems. If you want to disable targeting corsshairs, the files and instructions are in the readme. This is mostly Grenademan's work from his AIE42 mod. He used Realplayer as the start of his mod and then went on from there. 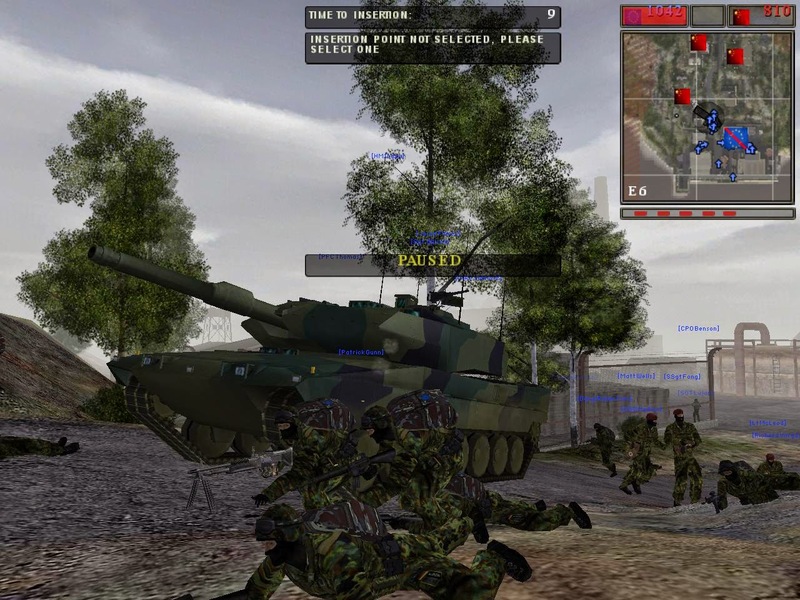 But, he left out the AI from multiplayer DICE maps that had been created by the BFSP community. So, I just combined his mod improvements with the AI support for the rest of the DICE maps. The previous version of Realplayer was a WIP that I had on my hard drive when Filefront dropped it. There were plenty of other mods that used the Realplayer improvements to include BF42, so I did not see a reason to clean it up and release a new version. I would just direct people to the other mods. However I when found AIE42 on my hard drive that is when it came to me to use his mod to update Realplayer. I have not heard from Grenademan in a long time, but I am sure he would like to know that his work is being continued on. 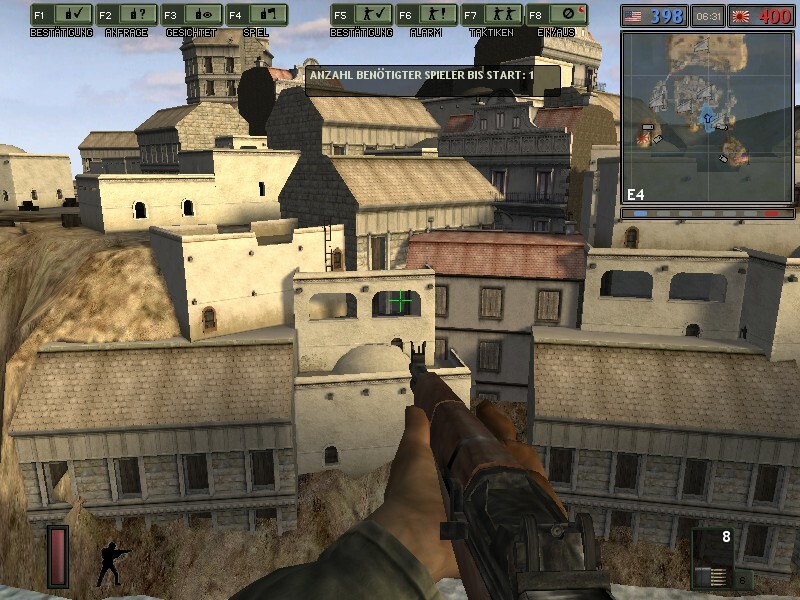 The advantage of Realplayer over other mods is that it's a small mod for those that want to enjoy BF1942 with the best possible singleplayer support. As far as adding support for other mods, that would involve some work integrating the changes without interfering with the existing mod functionality. Now, as far as possible future improvements, the subs and PT boats could be made to fire torpedoes. For another mod, I set up subs with deck guns and enabled the bots to use the subs. 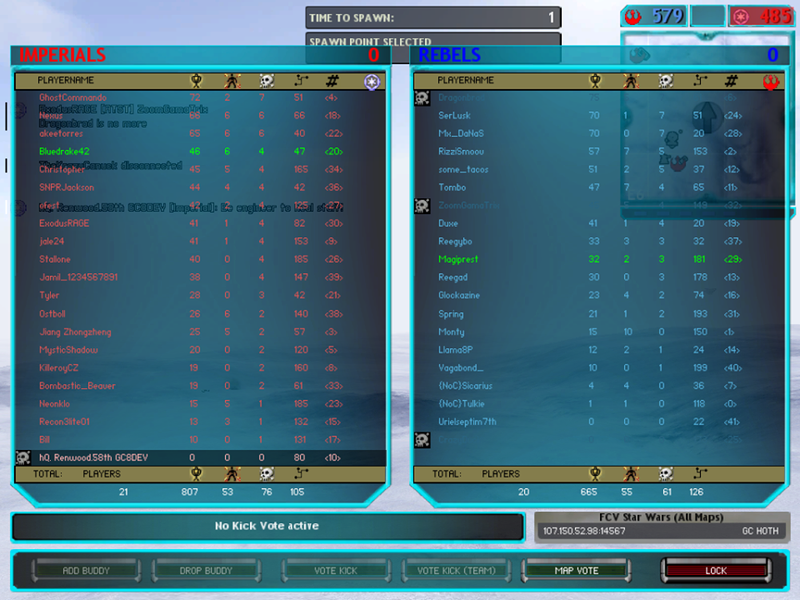 As long as I did not have them try to submerge the subs it worked fine and the bots could fire the torps. It's just a matter of having time to make the changes and considering that subs don't play a big role in the game, it did not seem like it was worth the effort. 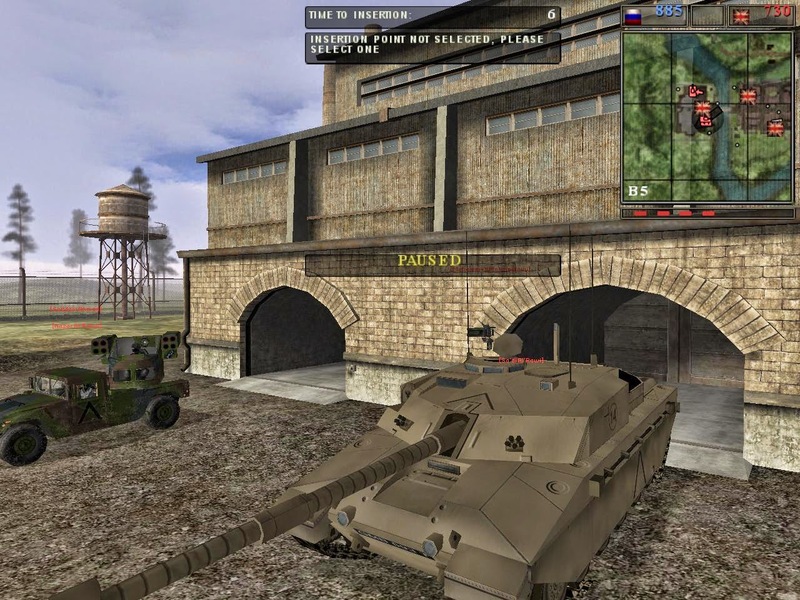 Also, it would be good to make the maps from the expansion packs (Road to Rome and Secret Weapons) enabled for realplayer as part of the mod available as a separate download. They are no longer sold or supported by EA but can only be found in then BF1942 collection from a game resellers to include Amazon. 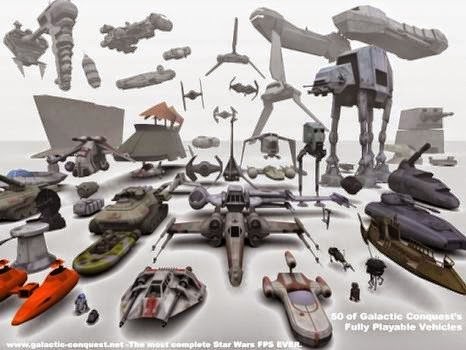 Now that would be fun to be able to play all the expansion pack maps in Realplayer. 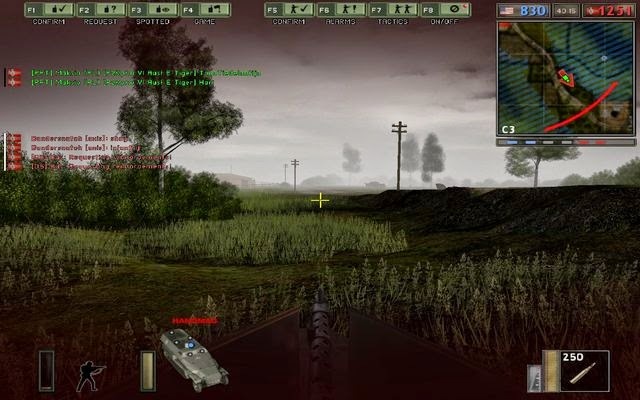 VEHICLE AI:- Bots now fire the Katyusha missiles more often.- Bots are more aggressive and accurate on machineguns.- Bots use the Defgun more effectively.- Bots bail out of badly damaged land vehicles more often.- Bots in aircraft engage ground targets more frequently and more accurately.- Bots are more accurate when firing tank's main guns.- Bots fire the tank coaxial machinegun and the main gun at infantry evenly.- Bots now use certain tanks better than they did before. 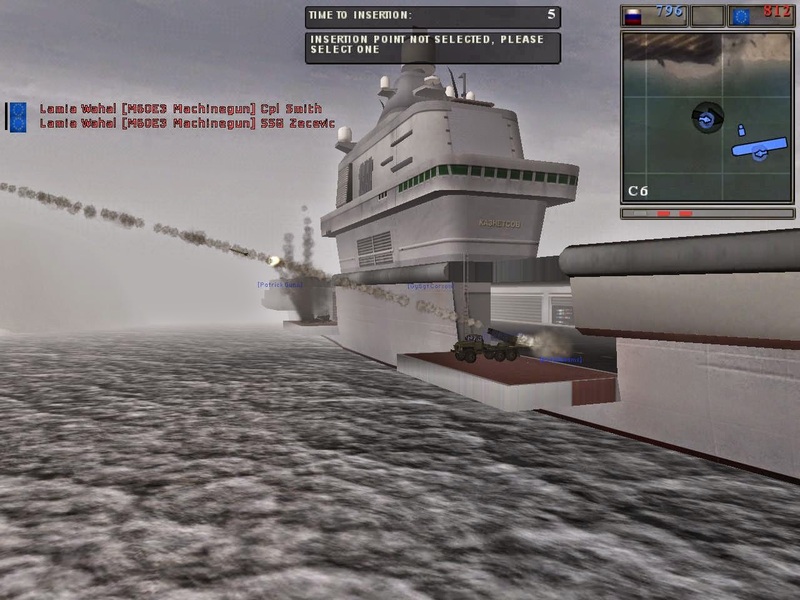 - Bots in anti-aircraft guns use them better now.- Bots will now fire certain handweapons at enemy aircraft.- Bots in landing craft will no longer switch to a passenger position when they are threatened, and instead will take the driver position or the gunner position. 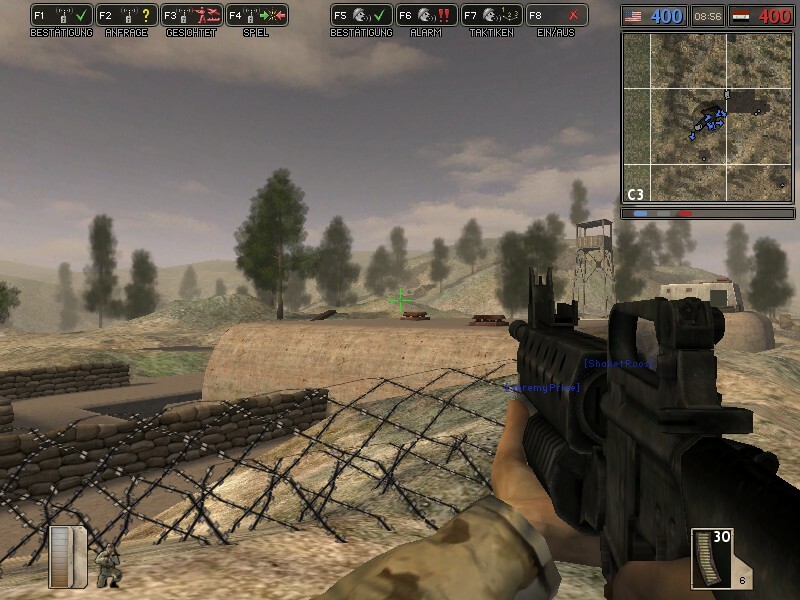 INFANTRY AI:- Bots use knives against infantry.- Bots use landmines against tanks.- Bots use binoculars to call for artillery against armoured targets.- Bots no longer fire anti tank weapons at infantry. 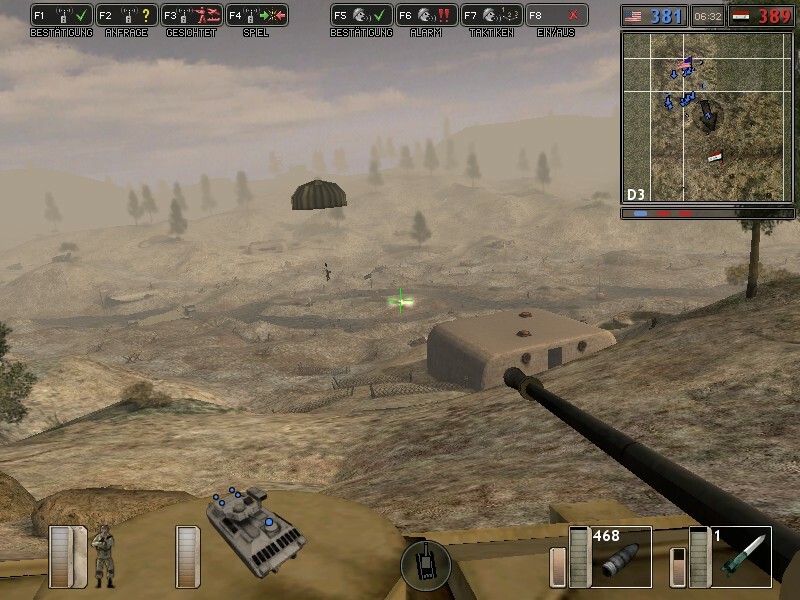 - Bots will sometimes throw grenades at enemy infantry.- Bots no longer throw grenades at tanks or light vehicles.- Bots will choose what weapon to use against targets more sensibly.- Bots will shoot at lightly armoured targets with their hand weapons, such as jeeps. 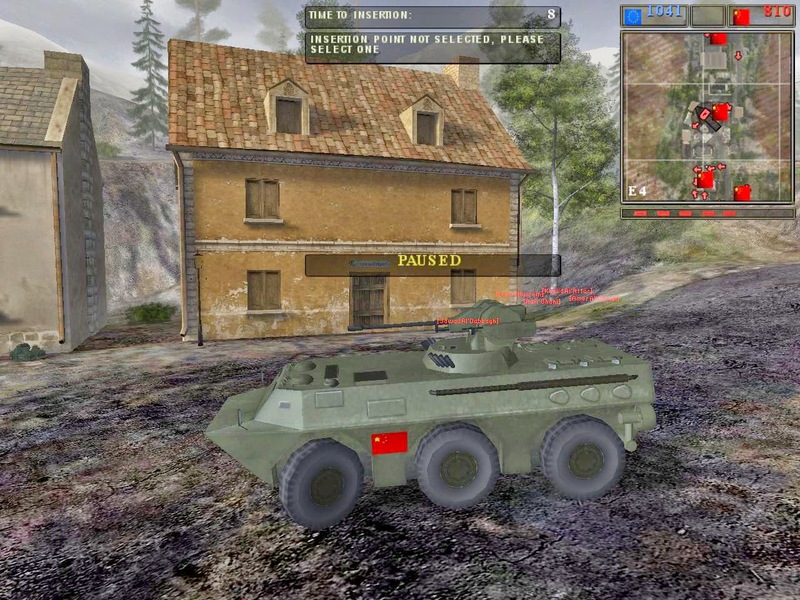 GLOBAL AI:- Bot aggression has been greatly increased.- Bots engage targets more realisticly and have an increase in accuracy.- Bots fire infantry and vehicle weapons further. 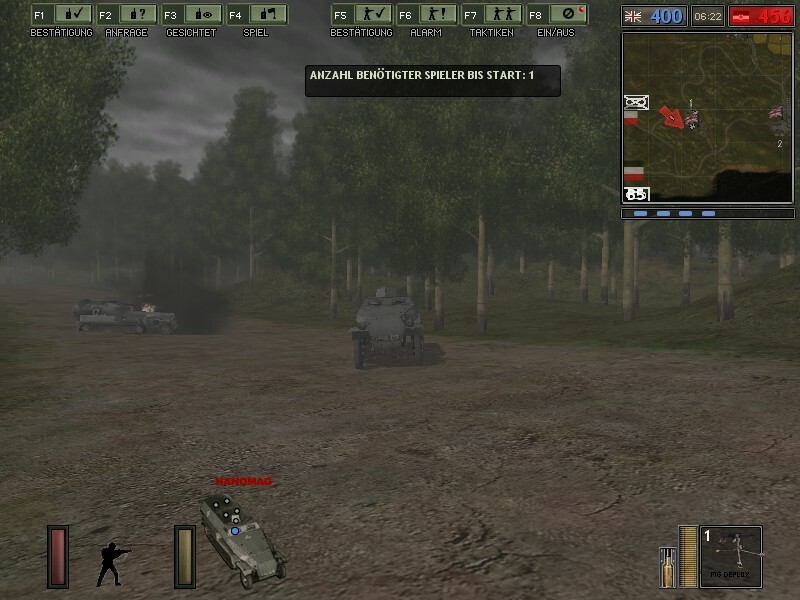 - Improved many AI properties for infantry and vehicles.- Bots no longer horde a particular kit. - 3rd person soldier view activated. - Enabled tracers for all infantry weapons except pistols, shotguns and the K98 rifle grenade.- Tweaked the recoil for each infantry weapon. - Made all infantry weapons more powerful against other infantry.- Soldiers will drown if they are in water for around 30 seconds.- Tank shells no longer arc and now travel at higher speeds.- Bazooka and Panzershreck rockets no longer arc and now travel at higher speeds.- Greatly decreased the power and radius of hand grenades.- Grenades are no longer effective against tanks.- Infantry bodies will remain longer.- Tank, Destroyer, Aircraft carrier and Battleship vehicle wrecks will remain for a lot longer. 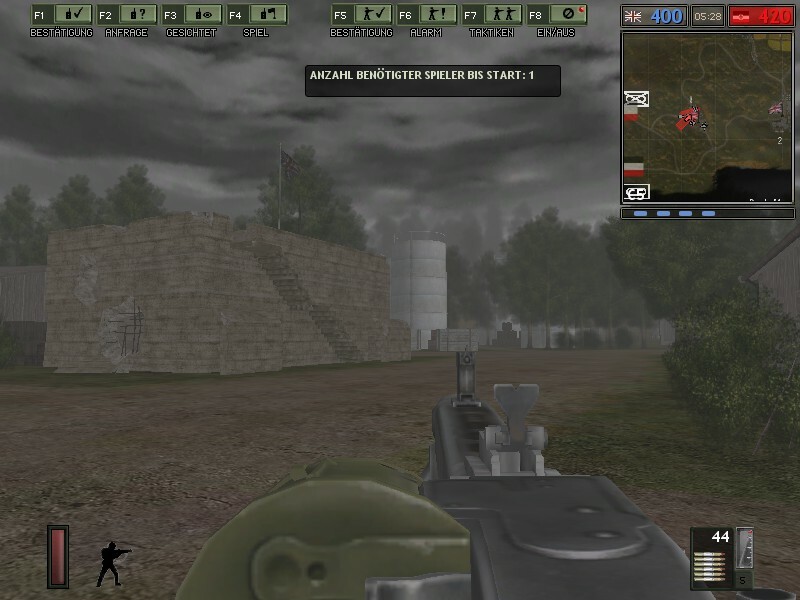 - Extra magazines added to: BAR1918, DP, K98, M1 Garand, NO4, STG44, Thompson, Type 5, Colt, Walther and the T99.- Removed the Expack from all engineer kits.- DP now has 49 rounds per magazine.- British, US Army, and Canadian anti-tank kits get the Thompson submachinegun. - German anti-tank kits get the MP40.- Desert German anti-tank kits get the STG44.- Japanese anti-tank kit gets the Type 5. - The Japanese medic kit gets a Type 5 instead of the MP18.- The Russian anti-tank kit gets the No 4.- The US Marine anti-tank and US Army engineers get the M1 garand instead of the No 4.- Landmine now last a bit longer after being placed down. 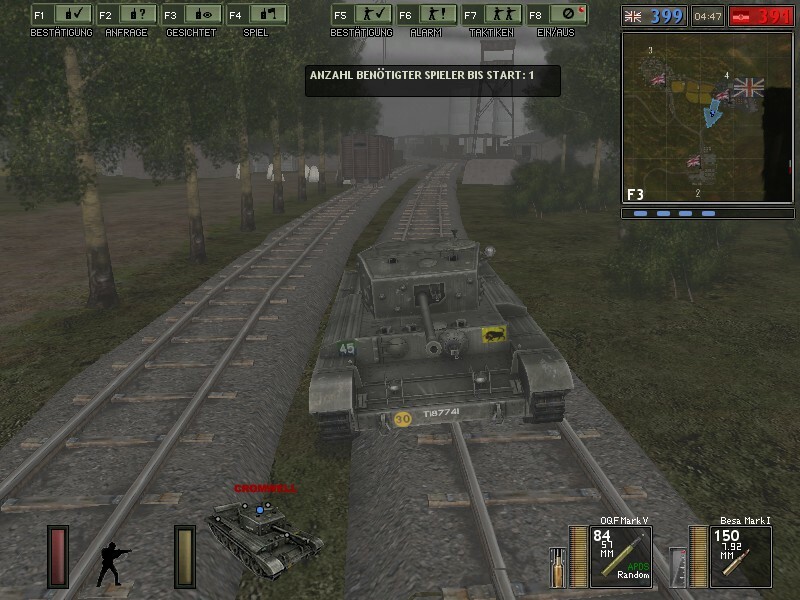 - M10 health increased to 160.- Panzer health increased to 120.- Priest health increased to 70.- Sherman health increased to 110.- T34/85 health increased to 120.- T34 health increased to 160.- Tiger health increased to 175.- Wespe health increased to 60.- Did a major clean up on all BF1942 (and expansion packs) vehicle codes to make them more effecient for bot use. - K98 renamed to Kar98k.- Mp40 changed to MP40.- GrenadeAllies renamed to Hand Grenade.- GrenadeAxis renamed to Stick Grenade.- Bar 1918 changed to BAR 1918- Mp 18 changed to MP18- StG 44 changed to StG-44.- Thompson changed to M1A1 Thompson.- Panzershreck renamed to RPzB 43.- Walther P38 changed to P38.- Bazooka changed to M1A1 Bazooka.- Colt renamed to M1911A1.- Johnson LMG renamed to M1941 LMG. 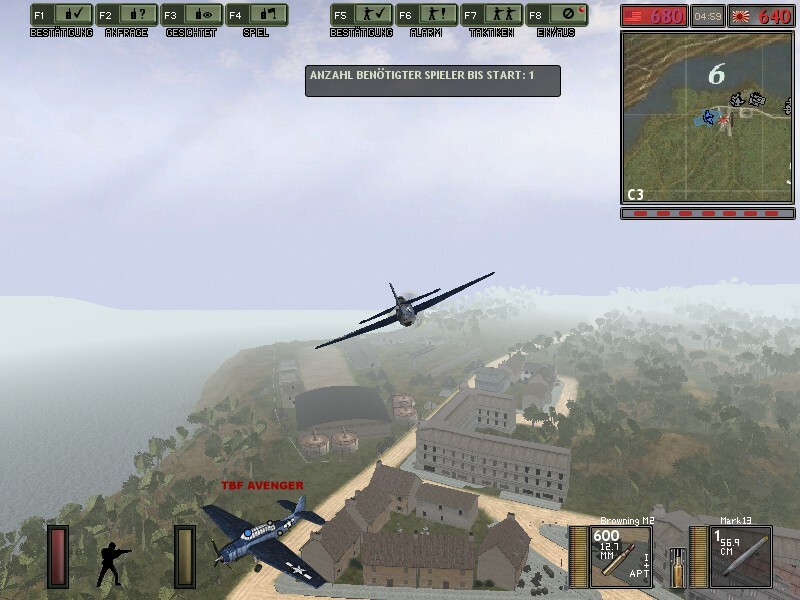 - AichiVal renamed to Aichi D3A.- SBD changed to SBD-1.- SBD-T changed to SBD-2.- Chi-Ha renamed to Type 97 Chi-Ha.- AchiVal-T renamed to Aichi-T D3A.- Corsair renamed to F4U Corsair.- Mustang renamed to P-51 Mustang.- Stuka renamed to Ju 87 Stuka.- Yak9 changed to Yak-9.- Zero renamed to A6M Zero.- B17 renamed to B-17G-30-DL.- Ilyushin renamed to IL-2 Sturmovik. - Tiger changed to Tiger I.- Wespe renamed to SdKfz 124 Wespe.- PanzerIV changed to Panzer IV.- Hanomag renamed to SdKfz 251.- M10 renamed to M10 Wolverine.- Priest changed to M7 Priest.- Sherman changed to M4 Sherman.- Katyusha renamed to BM-13 Katyusha.- Sexton renamed to 25pdr Sexton.- Ho-ha renamed to Type 1 Ho-Ha. - flak38 changed to FlaK 38.- AA_Allies renamed to AA Gun.- Browning renamed to M2 Browning.- MG 42 changed to MG42. - PrinceOW renamed to Prince of Wales.- Lcvp changed to LCVP.- Fletcher renamed to Fletcher-class Destroyer. 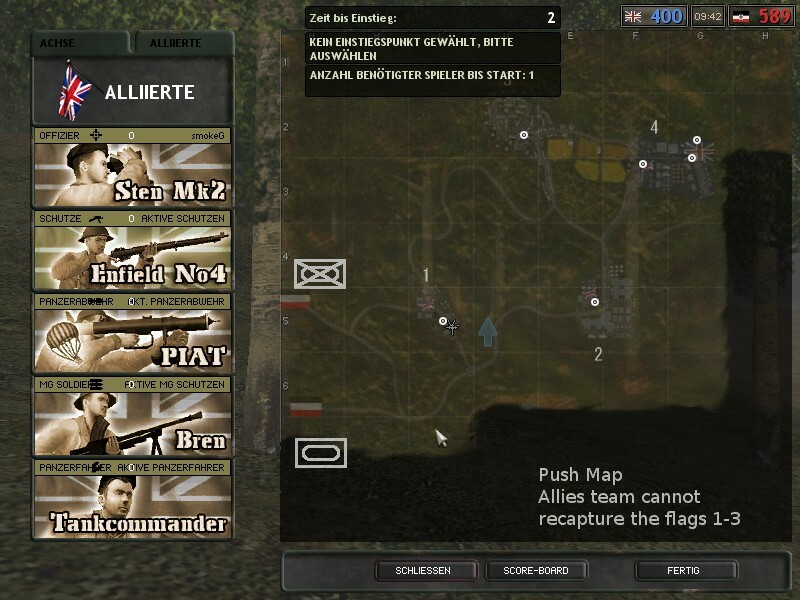 - "Allies captured the control point" changed to "Allied Forces have captured this position! 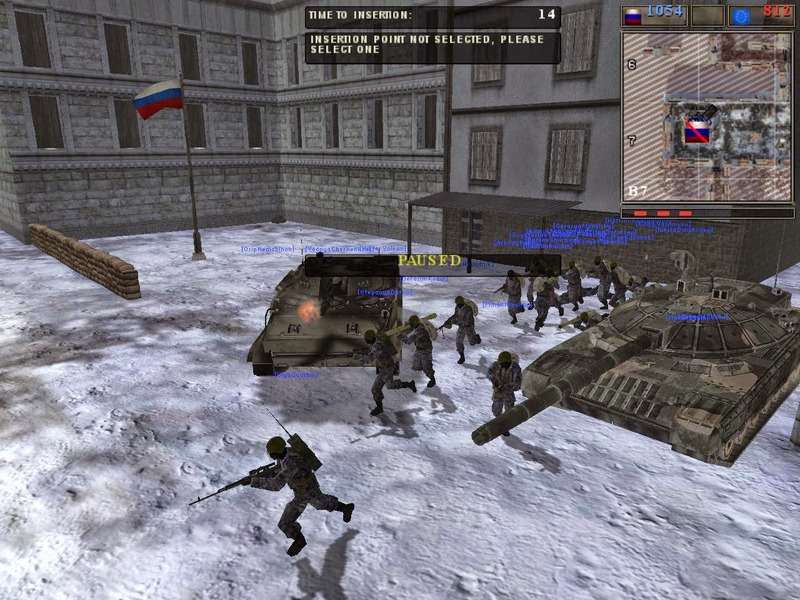 "- "Axis captured the control point" changed to "Axis Forces have taken this position!" News of the 21st century, "What Even Is This Mod" (WEITM v1.5)! Anarchy! Mayhem! Holy crap, look at the size of that turret! "What Even Is This Mod?" Is made by Mirage521. It teaches a very old dog new tricks. Cars will fly, The Force will be used, and that thing with the really big head will get flung across the map with the slightest touch. 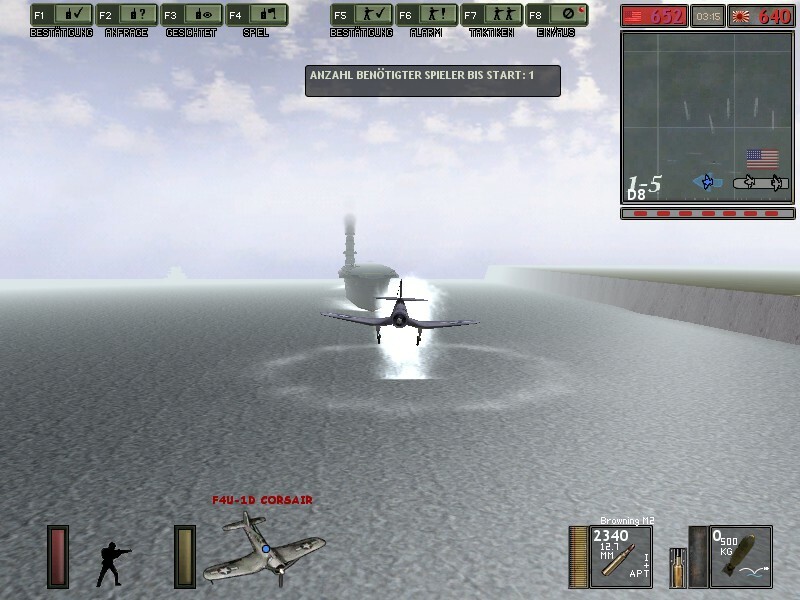 Oh, did I mention flying submarines, infinite ammo, and a custom soundtrack? NOTE: THIS IS THE ENTIRE INSTALLATION, WHICH IS MEANT TO RUN ON A STANDALONE BASIS. THAT IS WHY IT'S SO BIG. A readme file is included, which will guide you through the steps necessary to use this mod. Changes include some balance fixes, a few geometry modifications, a new sound effect (more will be added in the next update), a soundtrack composed entirely by me, a new intro, and a new main menu background video. More changes to come! V2 will (hopefully) feature a customized UI and new loading screens!